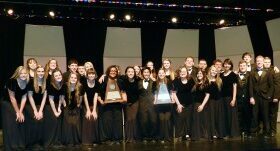 Year 41 for UIL SWEEPSTAKES! The Permian HS Symphony & Satin Strings continued its winning ways: Year 41 in a ROW for UIL Concert & Sightreading Sweepstakes! We are super proud of all the students involved…congrats on all of your hard work! Hawaii Info Page is HERE! Get all the information about our upcoming Hawaii trip by clicking on the tab called: HAWAII TRIP Up to date info will be posted here as well as photos from the trip. ALOHA!